a heart surrendered: The orphan conversation is NOT over! This passage may as well be an actual human hand the way it has been smacking me in the face for the past week. I am a GREAT hearer of the Word. I love Scripture. Reading it, listening to it preached, using it to encourage others, thinking about it, talking about it, challenging others with it. Hearing? No problem! But when it comes to the doing? Well, I can be a little slow out of the gate. This passage applies to every area of life, and I firmly believe the Nike swish should be a biblical icon. When it comes to God's Word, His commands, and His standards - do not question, do not whine, do not complain ... JUST DO IT! Currently, the area in which the Lord is challenging me to "just do it" is TRUST - as it relates to orphan care. Our entire family is in agreement about orphan care. The littles would request their own baby so they could have one all to themselves. When I shared our conviction with the older boys and asked them how they felt about it, their responses were simple. Caleb: "You're going to adopt someday anyway, right?" Research revealed that foster care is off the table because we have six children. However, it presented another option - Safe Families. This ministry seeks to provide temporary care for babies/children so they do not have to be placed into the foster system. Families keep the child(ren) between one day and three months, and reunification is (almost) always the outcome. The 'rules' are less cumbersome because it is the step before the foster system. Because it is not a government agency, the respite families are financially responsible for the necessities - formula/diapers/car seats/clothing. This is where I hit PAUSE on the process - and my faith failed. "How can we commit to the $ necessary to meet the needs of the babies that would flow through our home? We cannot even take a baby unless we get a 12-passenger van because we cannot fit another human in ours, and there is no way we can buy a new car right now. <sigh> Well, it looks like this door has been closed." I have a stack of books to read - two of them on foster care and adoption. I went to grab a new book last week, passed over both of the adoption books, and walked away. I sat on the couch and started reading Adopted for Life. Within 14 pages the conviction intensified from the repeated thwack of the Lord's fingers as He flicked me in the head with a, "Do you HEAR Me, daughter? Are you LISTENING?!?" I closed the book and slouched on the couch covered by an invisible blanket of embarrassment and shame. "Do I have ANY faith, Lord? What is going on with me? 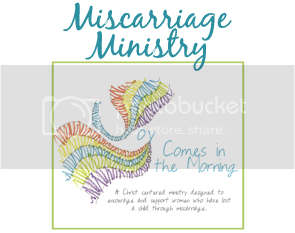 I have placed my hands on the belly of a miscarrying woman and begged You to restore life to the baby - because I know You CAN! I have pleaded with You to intervene in government and courts to change decisions that will affect millions of people - because You CAN! I refused to get off of the physician's table until I was fully surrendered to trust You and praise You whether the diagnosis was "Yes, you have breast cancer," or "You are cancer free." All of that, but I cannot trust You for an extra hundred dollars each month or a larger vehicle to provide for the needs of an orphan? Lord! Is my faith that weak?!? How can I trust You to raise the dead - but not trust You to supply diapers? Forgive me, Lord. And please - I N C R E A S E my faith!" As He so faithfully does, He confirmed all of these thoughts. Within an hour. First - the Safe Families Director sent me an e-mail asking, "Do you have any questions? I noticed you did not complete your paperwork." Hmm. Next, my wonderful friend who has rescued three orphans listened to me share a 90-second version of this story while my kids loaded the G3 into their van. Her husband, who was putting strollers in the trunk, poked his head around the door and said, "I did not hear the whole conversation, but I will personally supply the diapers and formula for you. So you can mark THAT excuse off of your list!" Loving but firm rebuke: Accomplished! Lastly, Dennis returned from work and I said, "Um, I am reading an excellent book on adoption and the Lord is making it very clear that I have not been obedient and that the Eastman-family-orphan-conversation is NOT over." He looked right at me and replied, "Of course it's not over." How come it seems so logical and simple to everyone but me? Come on, Michelle. You are a mature Christian. ACT LIKE IT! The Lord is c l e a r l y asking me to trust Him - and - surrender ALL. My concerns, my fears, my questions, and the unknowns. God is calling our family to care for orphans in their distress. He is not calling us to worry about money or resources. And I confused the two. 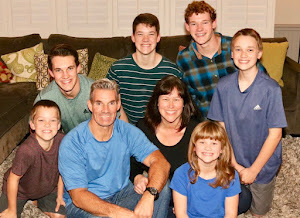 As Dennis prayed last night, "Lord, You know what we "can't do," and You LAUGH when we are paralyzed by the "cant's" because YOU can do anything, and You delight in providing for Your children." It is up to me to take a step of faith and trust the Lord to reveal the who/what/why/where/when/how in His time, and in His way. So, I have a meeting with the Safe Families Coordinator tomorrow afternoon. I don't know if the Lord is asking me to fully surrender and submit to foster care/adoption because we will have a baby in our home in six months, or if His plans are completely different than what seems obvious. Either way? It is not my job to question. My job is to say, "Yes, Lord. Do unto me according to Your will." And then - step forward in obedience, and enjoy the ride.